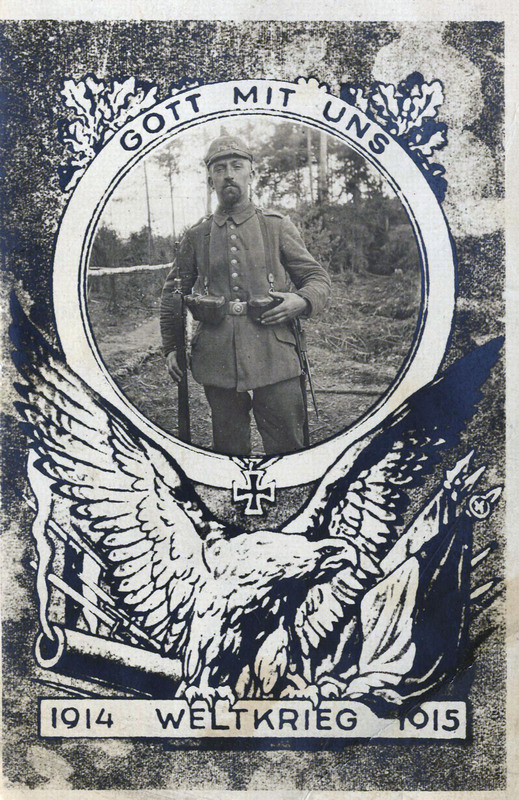 GOD WITH US – Nobiscum deus (Gott mit uns) was a battle cry of the late Roman Empire and of the Byzantine Empire, used for the first time in German by the Teutonic Order. In the 17th century, the phrase Gott mit uns was used as a ‘field word’, a means of recognition akin to a password, by the army of Gustavus Adolphus at the battles of Breitenfeld (1631), Lützen (1632) and Wittstock (1636) in the Thirty Years’ War. In 1701, Frederick I of Prussia changed his coat of arms as Prince-Elector of Brandenburg. The electoral sceptre had its own shield under the electoral cap. Below, the motto Gott mit uns appeared on the pedestal. The Prussian Order of the Crown was Prussia’s lowest ranking order of chivalry, and was instituted in 1861. The obverse gilt central disc bore the crown of Prussia, surrounded by a blue enamel ring bearing the motto of the German Empire Gott Mit Uns. At the time of the completion of German unification in 1871, the imperial standard bore the motto Gott mit uns on the arms of an Iron Cross. Imperial German 3 and 5 mark silver and 20 mark gold coins had Gott mit uns inscribed on their edge. 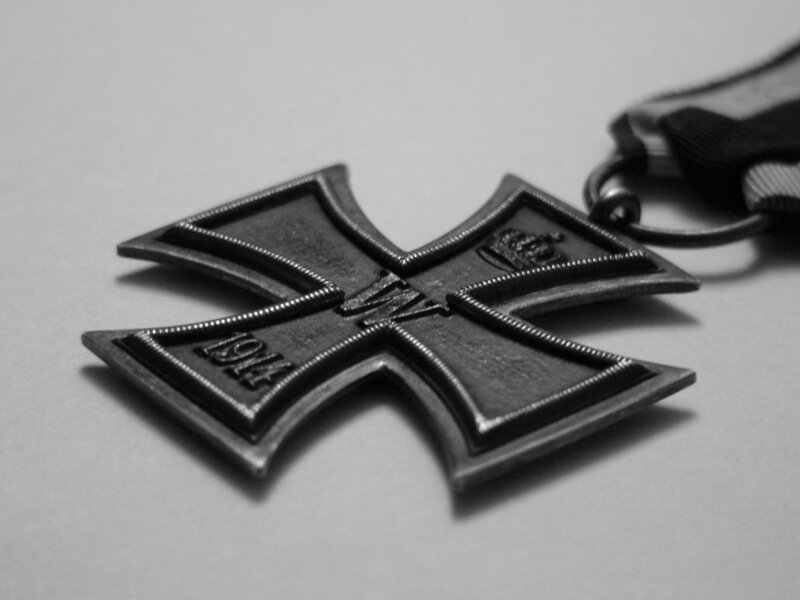 In the First and Second World Wars German soldiers had Gott mit uns inscribed on their Belt Buckles. To the Germans it was a rallying cry, “a Protestant as well as an Imperial motto, the expression of German religious, political and ethnic single-mindedness, or the numerous unity of altar, throne and Volk”.